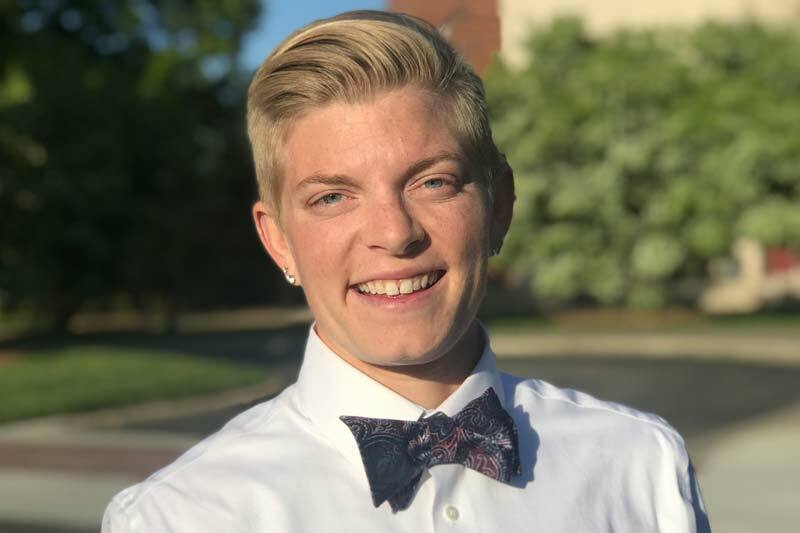 As a double major in mathematics and computer science, Meredith College second baseman Eran Artigues, ’18, has taken on the challenges of pursuing two STEM degrees while competing on the softball diamond and developing her skills through experiential learning opportunities. The Charleston, S.C., native credits her faculty for encouraging her to step outside of her comfort zone, pushing her to get involved, and helping her become a stronger woman. Watkins was instrumental in Eran landing an internship with Note in the Pocket, where she worked as an information technology technician. Prior to that role, she interned as a data research technician at North Carolina Central University (NCCU). Through those experiences, Eran grew as a person and as a professional. Eran, who serves as a math and computer science tutor in the Learning Center, earned the Charles A. Davis Award for Outstanding Seniors in Mathematics and Computer Science to go along with her Ernest F. Canaday Scholarship in Mathematics Award from 2017. She is also a member of the Pi Mu Epsilon honor society. On the softball diamond, the two-time captain of the Avenging Angels has also had great success. She collected two All-Conference honors, was named Team MVP in 2016, and was a 2018 All-Tournament Team selection. Eran is also a four-time member of the USA South All-Academic Team. Along with her academic and athletic achievements, Eran has learned a lot about herself. “I have learned that it is okay to be who I am. Through Meredith’s nurturing environment, it has motivated and allowed me to become truly who I am, both on the inside and the outside,” said Eran. After graduation, Eran plans to pursue a career in aviation, where she hopes to become a pilot. She is still weighing the pros and cons of whether to enter the Air Force or take the civilian route, but through her experiences in the classroom and on the softball field, she believes that she has gained all of the tools necessary to be successful in a male-dominated field.